After a longish spell at three of South Africa’s well-known universities, including Rhodes University in Grahamstown, the University of Cape Town in Cape Town, and the University of the Witwatersrand in Johannesburg, Dr Macras emerged with degrees in science, education and dentistry. Eschewing the attractions of shark biology and pedagogics, she moved to the UK from South Africa in 1997 and has been practicing here ever since. After a baptism of fire working for the National Health Service, she worked in the private dentistry sector for several years before opening her own practice in Wansford. She is married and has two teenage children. In her spare time her interests encompass travel, all things marine (in particular sailing and diving), avoiding housework and reading. Alex is a PADI-certified Divemaster and heads to warmer waters whenever she can to reacquaint herself with her cartilaginous friends. Emma gained her National Examining Board for Dental Nurses diploma in 2005. In 2009 she gained a postgraduate diploma in Dental Radiography as well as completing her training in Dental Impression Taking. She has worked in many fields of dentistry, including implants, maxillo-facial surgery, orthodontics, endodontics, prosthetics, sedation and aesthetics. 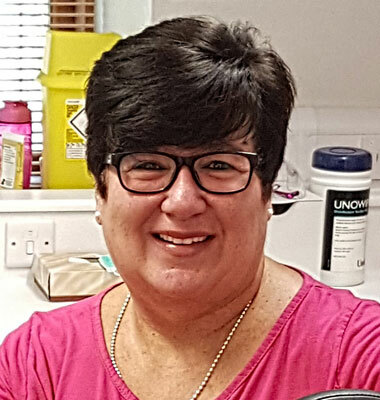 Emma is our CQC-registered Practice Manager and is your first cheerful point of contact at our practice. She is here to extend a warm welcome and to answer any queries you may have. 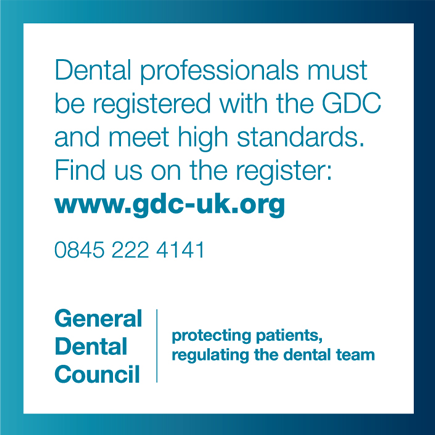 She oversees the smooth day-to-day running of the practice and closely montiors our adherence to the strict General Dental Council (GDC) and Care Quality Commision (CQC) Guildelines to ensure we are fully compliant at all times and has no hesitation in cracking her whip if she finds we are lacking in any way! In her spare time Emma loves singing and listening to music – she was awarded a Choral Scholarship to St. Martin’s-in-the-Fields in 2001/2002 where she was a Soprano Soloist, and has sung with many notable choirs including the National Youth Choir of Great Britain and The Rodolfus Choir. She also enjoys sporty activities – recently completing a gruelling four-day cross-country trek in Iceland, reading and spending time with her family. 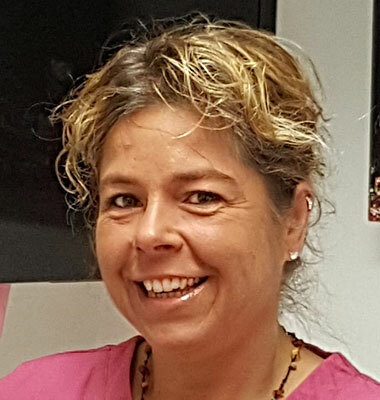 Lisa has twenty-nine years of experience working in the dental surgery in both NHS and Private Practice. 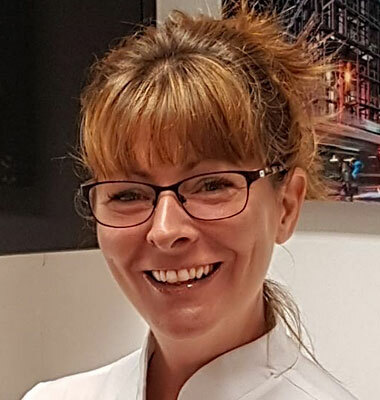 As well as her National Examining Board for Dental Nurses diploma which she obtained in 1993, Lisa holds post-graduate qualifications in Orthodontic Nursing (1996), Dental Impression Taking (2009), Dental Radiography (2010) and Oral Health Education (2012). 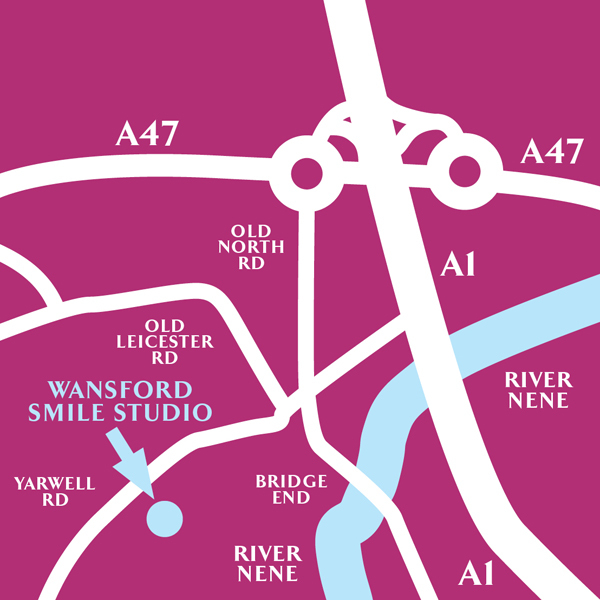 She has been with Wansford Smile Studio since the very beginning and, apart from a hiatus after suffering a serious riding accident in August 2015, has been (and continues to be) a valued member of our happy team. 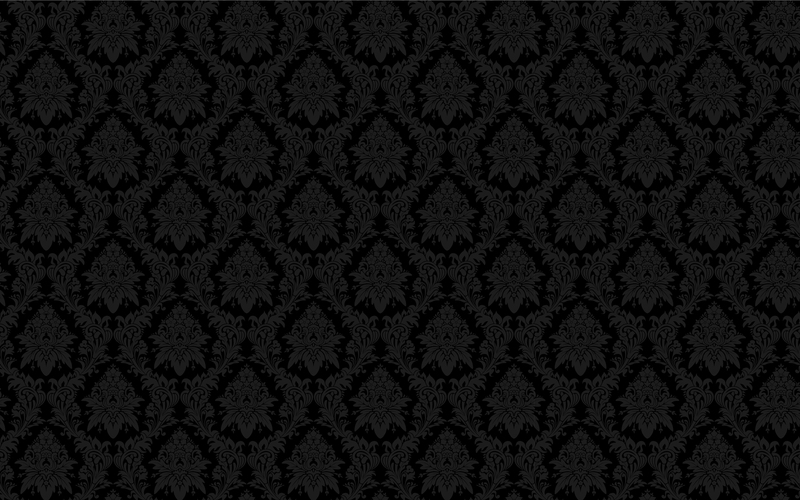 Lisa is married and has two daughters. In the limited spare time she has after working here and looking after her four horses, she enjoys riding with her husband, spending time with her family and, most favourite of all, eating out. Sue gained her National Examining Board for Dental Nurses diploma in 1996. 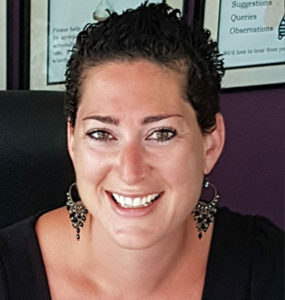 She has over twenty years of chairside experience and has worked in both NHS and Private Practice. As well as nursing, she also covers reception when needed and is here to help ensure your dental experience with us is as pleasant as possible. When not at work, Sue is a total adrenalin junkie and enjoys horse-riding, water ski-ing, wakeboarding and spending time with her husband, daughter and their three dogs. Simon qualified from Guys Hospital, London in 1993. 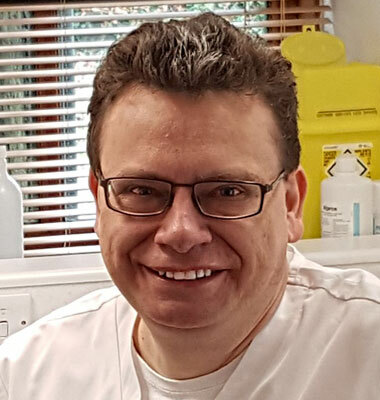 Since then he has gained extensive experience in general practice and maintains a keen interest in cutting-edge dentistry. He endeavours at all times to treat his patients as he himself would like to be treated and takes great pride in the quality of his treatment and patient welfare. He has a special interest in endodontics (root canal therapy) and has undertaken postgraduate training at the prestigious Eastman Dental Hospital. 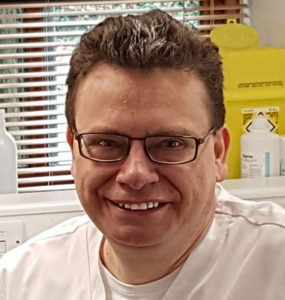 He also holds a Higher Diploma from the Royal College of Surgeons – this enables him to offer in-house endodontic treatment on teeth with complex anatomy, as well as accepting referrals of challenging cases from other dentists.